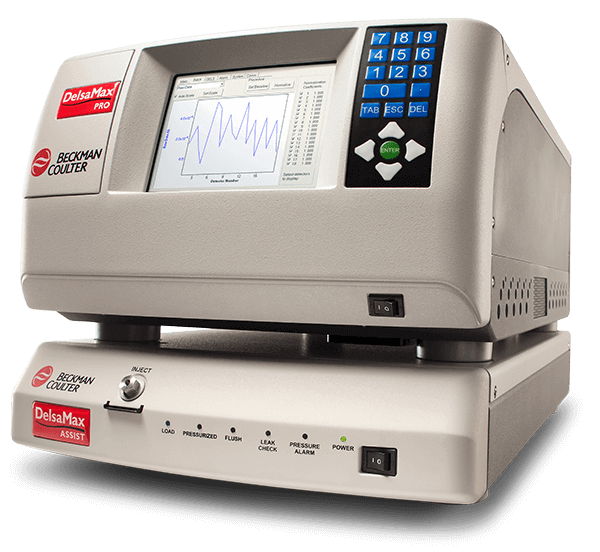 The ASSIST is an accessory for use with the DelsaMax PRO system when performing Zeta Potential measurements. The ASSIST reduces bubbling in the sample solution by pressurizing the flow cell >30 fold above atmospheric pressure to reduce signal interference. Particularly useful for highly conductive samples or those requiring large voltages (low charge materials) which are prone to generating bubbles under high current.